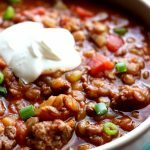 Instant Pot Ground Turkey Lentil Chili–this healthy, easy pressure cooker turkey lentil chili is the perfect meal for any night of the week. It fills you up without filling you out while still having tons of flavor. Today’s recipe is one of my slow cooker favorites that I’ve made in the pressure cooker. 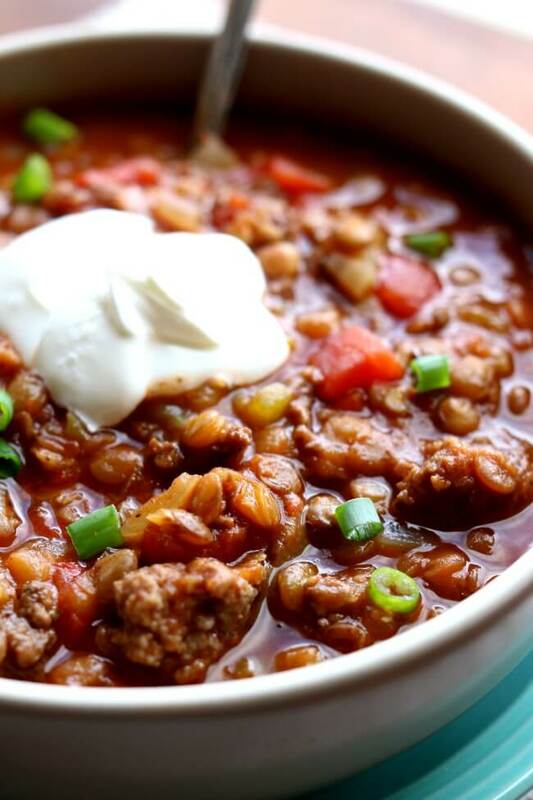 It’s a healthy lentil chili that’s made with ground turkey. 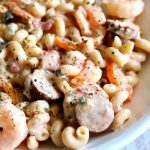 I usually always have the ingredients for this recipe at my house so it’s a perfect option for a weeknight dinner or sometimes I even make it and put it into individual containers and freeze it. That way my husband can grab one of those containers and bring it to work and have a healthy, filling lunch. Today is National Chili Day! 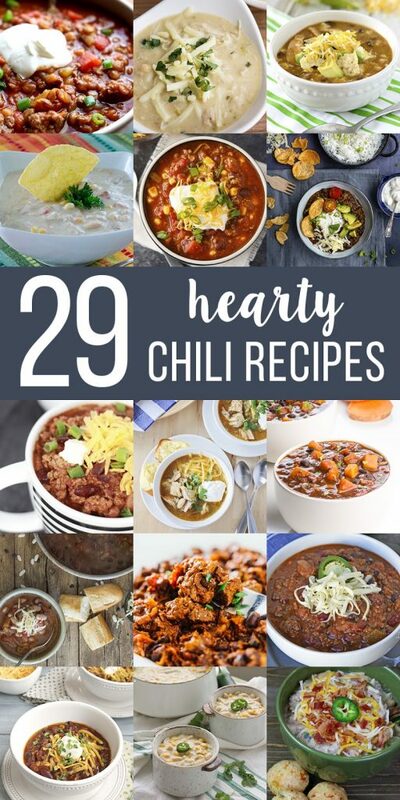 I’m celebrating by sharing with you some amazing chili recipes from some food blogger friends. For this Instant Pot Ground Turkey Lentil Chili recipe I used this Instant Pot IP-LUX60 V3 Programmable Electric Pressure Cooker. It’s 6 quarts, so the same size as most slow cookers. It cost me around $80 on Amazon. When I made a similar recipe in the slow cooker I used this 6 quart KitchenAid Slow Cooker. 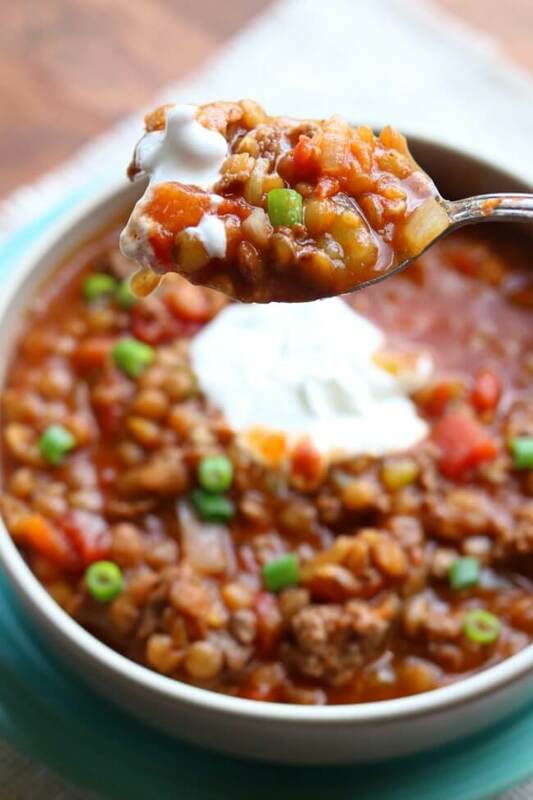 This healthy, easy pressure cooker turkey lentil chili is the perfect meal for any night of the week. It fills you up without filling you out while still having tons of flavor. Turn your Instant Pot onto “saute.” Brown the ground turkey. Add in the diced onions, garlic, tomato paste and salt and cook until meat is browned and onions are soft and translucent. Add in the lentils, water, tomato sauce, diced tomatoes, green chiles, chili powder, cumin and pepper. Remove the lid and ladle the chili into bowls. We topped ours with a dollop of sour cream and some diced green onions. Click here for the slow cooker version of this recipe. 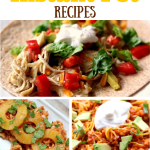 I used my Instant Pot IP-LUX60 V3 Programmable Electric Pressure Cooker for this recipe. Made this tonight and was blown away by how flavorful it was! We subbed brown lentils and only put in 1 tsp salt and it turned out great! Thank you! NICE! We love this one too. You may want to only do 10 minutes because it will take longer to come to pressure. Hi Karen!! I came across your recipe through Pinterest and I’m interested in trying it. I have leftover cooked turkey breast in the freezer I want to use up. Would you suggest I cook everything but the turkey first for 13mins and then put the turkey in to warm through for 10mins or so? 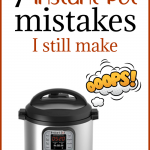 I have the instant pot mini – can I just cut all the ingredients in half with same cook time? yes, except you need to make sure there is enough liquid for the pot to come to pressure. Hi, I want to make this but only have ground chicken. Do you think this will ok? Great flexible base recipe. I added a can of black beans and a can of kidney beans, substituted a couple jalapenos (seeded) for the canned chilies and two chipotles in adobo to spice it up, subbed fire roasted tomatoes and added ancho chili powder and litelife soy crumbles rather than turkey (the crumbles soak up a lot of spice) Also used veggie broth instead of water. Came out great and vegan! awesome! I’m so glad you could make this work for you. Really great! I subbed brown lentils and added sweet corn. Great easy and healthy dinner! when you click manual, do you select high or low pressure? I have an 8 qt pot. 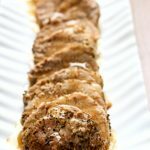 Can I double or even triple this recipe? I’d love to make for my son’s birthday party. We’ll have about 20 people to feed. I bet you could double it, probably not enough room to triple! Great recipe! We did this as our first IP meal and loved it. Quick question are the nutrition facts per serving of the whole meal? Made this today for dinner and it came out delicious. I doubled the recipe and added extra water. It came out perfect and my family loved it. Definitely a keeper! can you make this with frozen ground turkey? I’m not sure how great that would work since the turkey is supposed to get browned in the first step. Maybe add 1/2 cup broth to the pot and pressure cook the frozen turkey for 5 minutes. Then follow the recipe as it is written. This was delicious! The only thing I would do is add another half a cup of water, because it came out kind of dry in mine. My three-year-old asked for seconds and thirds. I am making this recipe now and followed the steps. My instant pot red BURN. Any tips on how to make sure that doesn’t happen? I’m not sure where I went wrong. Thanks! Bummer! I have read that sometimes when people use tomato based products they get the burn message. Maybe just “layer” the ingredients with the water on the bottom. Usually if you get the burn notice it’s because after browning meat the bottom wasn’t scraped clean and there was residue left… just make sure you scrape the bits off the bottom before pressure cooking! Just made a batch and a half in our 6 qt (?) Instant pot. Only change was I added a diced fresh jalapeno. Really delicious! Thanks for the easy and healthy recipe! This is very tasty. My husband and I both liked it, although it is better the second day when the flavors come together. Thanks a lot for this recipe, I will definitely make it again. I think lots of people think they don’t like lentils but if they’re cooked right they will like them!! Oh wow, this looks YUMMY! I love that you used ground turkey. I’ll have to try this recipe and see what my family thinks. This looks so hearty and delicious, and perfect for a cold night! I found some lentils in my food storage room and wasn’t sure what to do with them. I’ll have to give this a try, it looks super yummy! Thanks Kara! It is one of my most favorite recipes ever. Very easy to make and healthy too. My family would love this, I can’t wait to make it. Can i do this with frozen turkey?! 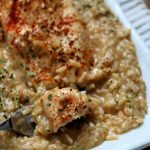 I’m an instant pot newbie! Is the turkey already browned? Thanks for this amazing recipe. I made this today and it was sooo yum! I portioned it into small containers to freeze and take to work for a healthy lunch. Starting the year off right – thanks again! What a good idea. I love this as leftovers. It tastes better the next day. Wow, just made this as last minute dinner and it was fabulous! A little sharp shredded cheese on top and it was so satisfying. Thanks! Hooray! and hooray for the cheddar! I made this tonight, and it was excellent. So easy, and lots of flavor for turkey chili. Glad you liked it! This is one of my favorites. I have a 3-quart Insta Pot, but I would love to try this recipe. Do I need to half the recipe, or is there still plenty of room in the 6-quart one when you make it? I don’t think you could double it but I bet you could 1 1/2 times the recipe! We just got an Instant Pot for Christmas. This was the second recipe I’ve made. It turned out great! Loved it! This will definitely be made again. Hi Kelly, I know that you will love your IP! I’m glad you tried this recipe. We really like it at our house and make it often. Made this without the green chilis or tomato paste because we didnt have any and were broke till Friday, but this was amazing, and I will definitely be trying again maybe with ROASTED Fresh chilis? Going to make this tomorrow! Does no pre soaking for the lentils need to be done? Lentils do NOT need to be soaked. I made it for dinner tonight, and it was delicious. Thank you for sharing this recipe. This is outstanding!! I am a Weight Watcher member and on the new Freestyle plan, this chili is ZERO points! This is the second recipe I’ve tried in my new instant pot. It was delicious! Served it topped with a little sour cream and sharp cheddar cheese. I used ground turkey breast, so added a tablespoon or so of olive oil to brown the very lean meat. The little green lentils were ideal. I like this one a lot too, Bonnie! If I double this does it change the cooking time? Nope! Keep the cooking time the same. If you double, do you double all ingredients, including the water? Hi Karen, do you use high or low pressure for this recipe? Just tried this and it turned out great. Love the tiny green lentils — they keep their shape so nicely. The only change I made was to add some diced green bell pepper, since I didn’t have a can of diced chiles. This recipe is a keeper! Thanks! Good idea on the green peppers, Linda! 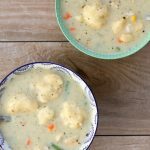 Hello, I made this recipe and it tastes great! I am new to instant pot and this is the second time making soup/stew where the liquid has cooked down, I’m not sure what I’m doing wrong. It says “on” for about 12 minutes while it heats up I’m assuming, then goes to the 13 min I set it for. Am I doing something wrong?? I don’t think you’re doing anything wrong!! If you like your stews and stuff more liquidy then add an extra cup of broth. I’ve never used green chilies, my kids are both under 5 so bas8cally spice averse but they like flavor. Should I omit those? Are they spicy? I figure I’ll cut the chili powder down by half…. I’ve only made one other chili recipe and it was on the stove so I’m new to chili and the IP! green chilies are not really spicy they just add flavor. I’m more worried about the picante sauce. Make sure to use mild. Will red lentils work and will it be the same time? I made this last night for dinner. Stumbled onto the recipe as I had a pound of ground turkey and leftover tomato sauce in the fridge plus a smidgen of lentils in the pantry and was looking for a recipe to use ’em up. No diced tomatoes so I subbed an equal amount of crushed and I also used chicken stock vs. water. Really delicious topped with some grated cheddar and bit of sour cream. I made this tonight for supper, and on this cool spring evening it was just right. I used brown (not green) lentils and they worked out fine. We topped it with grated cheese and sour cream. I’ll make this one again. Thank you Karen for this instant pot ground turkey lentil chili. Tonight i will make this for my family. I am glade that i found your wonderful blog. I will try all you dishes. Thanks Ashley, I hope you like it!